If virtual reality is an early adopter market, then the HTC Vive Pro is for the earliest adopters. The first refresh we’ve seen to consumer VR headsets in two years, it’s destined be niche—not so much a Vive 2 as a Vive 1.5, with all the connotations that brings. But maybe that’s fine. There’s a certain (small) subset of people who have been on this train since the earliest days of the first Oculus Developer Kit, the DK1. People who, a year later, put down more money on the DK2, then probably bought both a consumer Oculus Rift and an HTC Vive a few years later. This update’s for them, however small that audience might be. 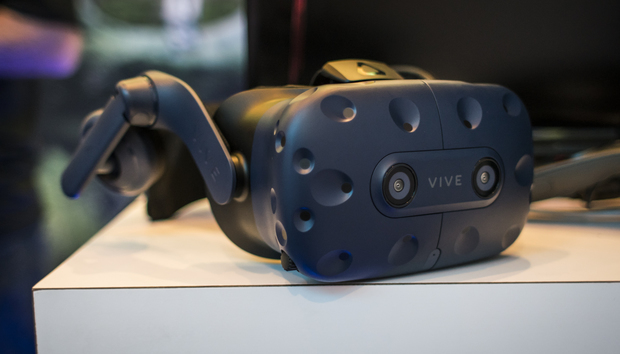 The Vive Pro ($799 on Amazon) is also a solid—albeit expensive—entry point for people who don't mind paying extra for a VR headset with extra polish, or without the rough edges of first-gen hardware. Everyone who isn't an enthusiast would probably be better off sticking to the basic Vive though. I’ve felt it. I’ve felt the slowdown. 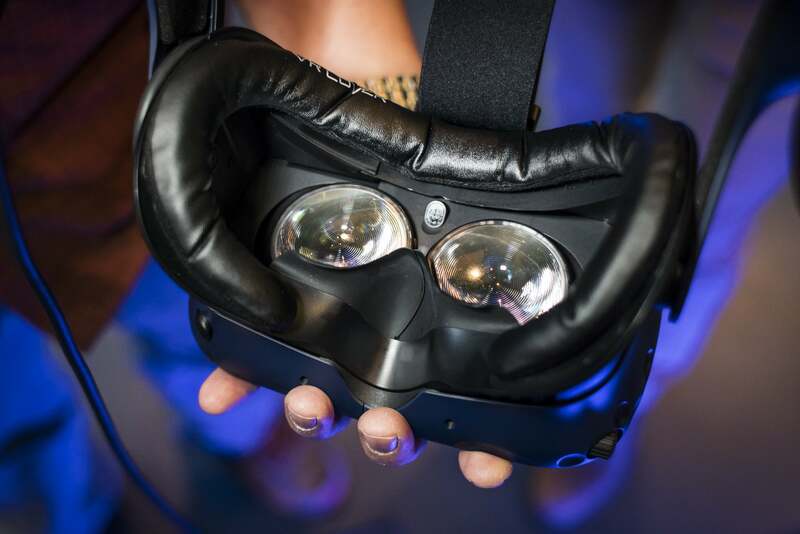 In the developer kit days, it seemed like a new breakthrough in VR happened every six months. In 2012 John Carmack showed off a duct-taped headset based off Palmer Luckey’s Rift prototype. By 2013, the DK1 shipped to Kickstarter backers. By 2014 we had DK2, the Vive and its room-scale tracking appeared in 2015, and in 2016 the consumer models of both headsets hit shelves. Okay, not quite nothing. Oculus put out the Touch controllers at the end of 2016, giving the Rift hardware for a proper room-scale experience. 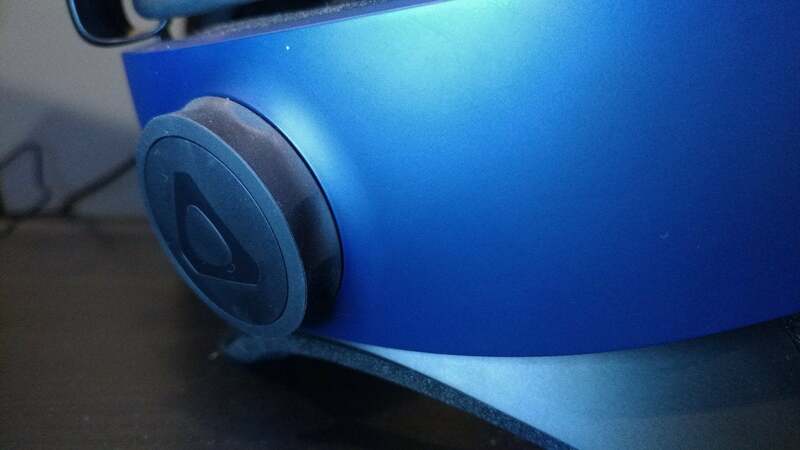 On the Vive side, a more modular ecosystem and headset design has led to a series of small changes, first the ribbon cable’s replacement with the slimmer 3-in-1 cable, then the comfort-enhancing Deluxe Audio Strap, and then late last year the standalone Vive trackers. The Vive Pro standardizes many of these incremental upgrades, and we’ll get to those. The bigger deal though, the hook, is that it modifies the one area nobody touched before: The display. That’s really where I’ve noticed the current slowdown most. The DK1, if you can believe it, featured a 1280x800 resolution. DK2 jumped to 1920x1080. Then the consumer Rift and Vive settled on 2160x1200—and there it’s stayed, for two years now. It’s not bad. 2160x1200 resolution offers decent visual quality, especially compared to what came before, and I remember a lot of talk early on about how it “fixed” the screen door effect. That was slightly premature though. While you wouldn’t necessarily be distracted by visible pixels in-game, it was hard not to notice how damn blurry all the text looked, or how distant objects devolved into a jumble. 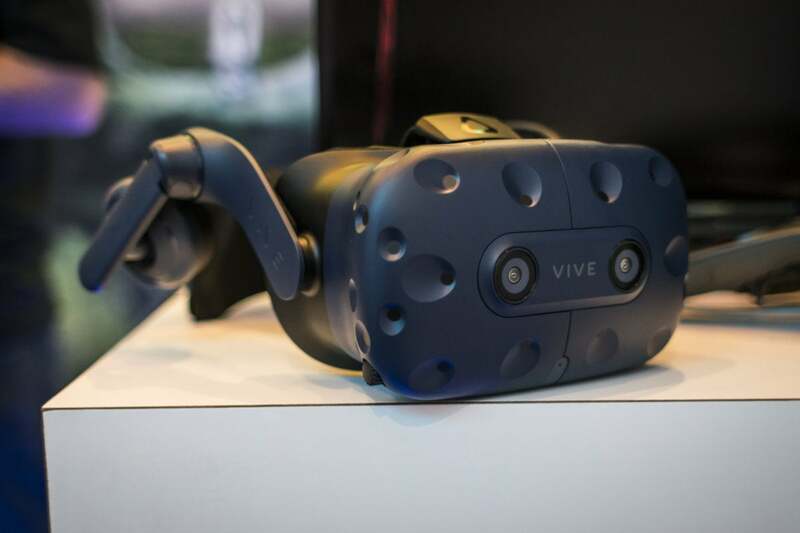 The Vive Pro offers the first resolution increase in the consumer VR era, at least on the PC side, jumping up to 2880x1600, or 1440x1600 per eye. That’s hard to parse, but it represents a 78 percent increase in pixel density. By contrast, the jump from the DK2 era to the original Rift/Vive was only a 25 percent increase. So does it get rid of the screen door effect? Weeeeell, no. Not quite, anyway—you’ll notice soft edges on certain objects, and solid-colored areas (like pure white) break down into visible pixels if you look hard enough. Still, it’s a notable improvement. I’ve noticed huge benefits in text-rich environments for instance, including Valve’s basic “SteamVR Home” landing area. SteamVR Home is cluttered with menus displayed in the smallest of typefaces, and previously I found it a chore (or at worst, impossible) to read this info. The Vive Pro renders it all clean and legible. 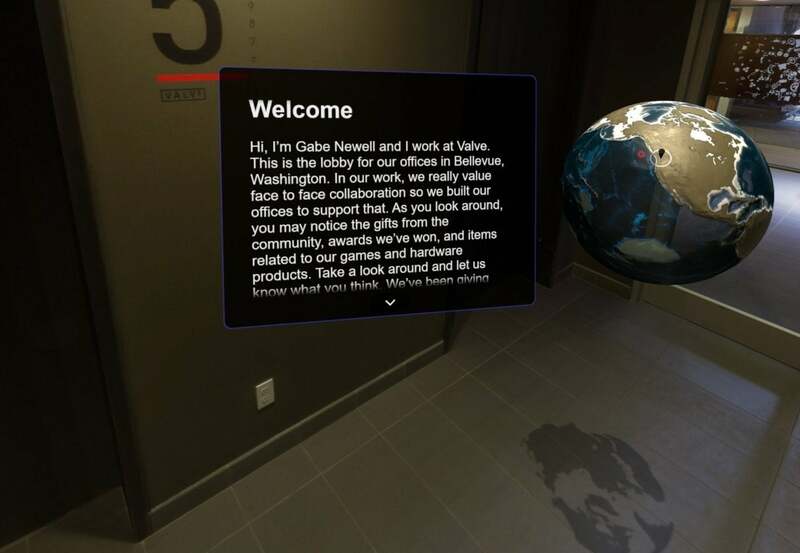 One of Valve's default SteamVR Home areas is a tour of the Valve office. Needless to say, these text fields are a lot easier to read with the Vive Pro. The benefits extend to any detail-rich application. Google Earth VR is a favorite of mine, given its mish-mash of streets and apartment buildings and trees and so on. It’s all the complexity of the real-world, distilled, and with the Vive Pro those elements separate out much cleaner than they used to. The Vive Pro also works in a de facto increase in Google Earth's draw distance, because buildings or landscape features stay sharp and recognizable from further away instead of devolving into a mass of overlarge pixels. 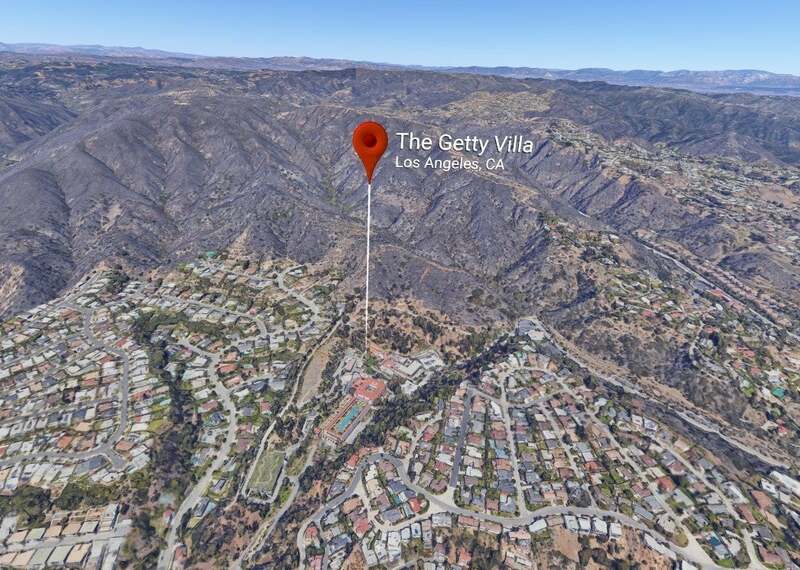 Google Earth's crowded residential scenes benefit a surprising amount from the Vive Pro's upgraded displays. The resolution bump is less important in games. It’s there, and it makes certain areas look great—the large-scale science fiction of The Gallery, for instance. And as I said, it makes any text-heavy games more enjoyable to play. Obduction on the Vive Pro is a very different experience from Obduction on the standard Vive. But most developers have worked within the constraints of the existing VR headsets, which means oversized text, simplified shapes, and so on. It’s an art style designed to look good on low-res displays, and so having a higher-res display, while admittedly crisper, doesn’t fundamentally change the experience. Hell, in some cases you’ll actually notice where the developer cut corners to boost performance—I’ve seen a lot of very blurry textures this week that I hadn’t noticed before. Anyway, I’ll wait impatiently for a 4K VR headset and the graphics card to run it at 90 frames per second. We’re not there yet though, and the Vive Pro still represents a sizable improvement. HTC and Valve actually seem determined to bring down the hardware requirements before they go up. 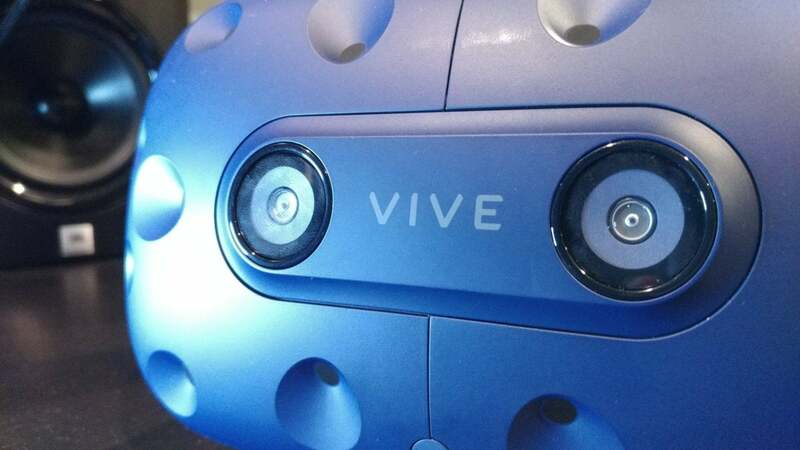 The minimum PC requirements for the Vive Pro remains the same, at GeForce GTX 970 or Radeon R9 290, with Valve and HTC using the adaptive-resolution tech consoles are fond of these days to scale the visuals as needed. That means if you’re at minimum spec, you’ll have more physical pixels to work with, but the game may in fact render at a lower resolution (say 1920x1080) to hit 90 frames per second. Not a bad solution, honestly. That means we’ll probably have 4K VR displays long before the majority of the audience has the hardware to hit 4K at 90 frames per second. Enough about resolution. This review’s stretching on long enough as it is, and I haven’t even touched the design of the headset. The resolution bump really is the most substantial change though. Fact is, most of the Vive Pro’s other features come from the Deluxe Audio Strap. Sure, they’ll be new to anyone who didn’t buy that add-on, but...well, honestly I assume many enthusiasts interested in the Vive Pro probably bought the Deluxe Audio Strap day one. It’s the nature of early adopters. The new rigid design is a lifesaver. It always stays in place, never pulling away from your face or shifting during action-packed moments. It’s also easier to adjust, with a bike helmet-style wheel on the back. Crank it right, the straps tighten. Crank it left, they loosen. It’s much faster and more intuitive than the standard three-strap design that came before. The Vive Pro tweaks the Deluxe Audio Strap design in a few ways, though nothing too substantial. For one, there’s additional cable routing. Instead of going over the head, then hanging off the side, the Vive Pro cable runs down the left strap and falls off the back. It’s a small difference, and doesn’t negate the tether’s existence entirely, but it also doesn’t hit me in the arm as often, for which I’m grateful. There’s also a substantial counterweight on the back of the headset now. I’m actually torn on this feature. The obvious benefit here is it further offsets the weight of the Vive’s display. The Deluxe Audio Strap started that process, but the Vive Pro feels even more balanced. And that’s great—as long as you’re standing. Unfortunately the counterweight also sticks out about an inch, which makes seated VR awkward if you (like me) have a high-backed chair. Seated VR experiences are fewer and fewer these days, but they do exist. The American Dream just released a scant two weeks ago, for instance, and the counterweight constantly got in my way as I played. I could also see it being a problem for video playback, or anyone who uses VR as a monitor replacement. They’re still just “good enough” though, in my opinion. 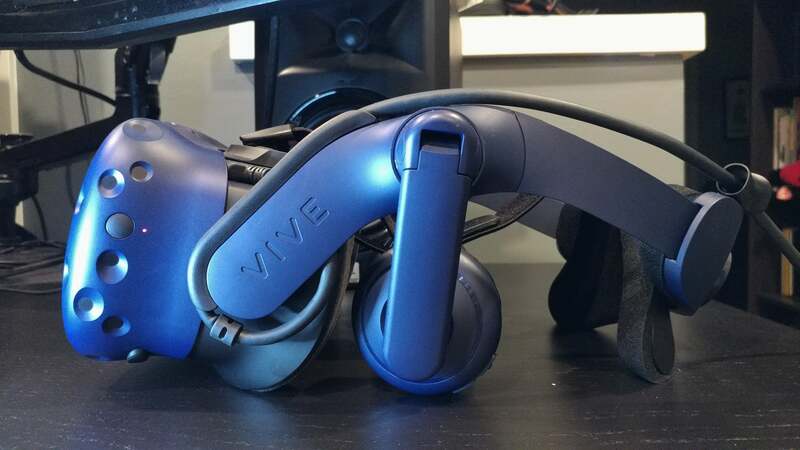 Maybe a modicum better than the Deluxe Audio Strap—the Vive Pro headphones feel like they have a bit more bass, and definitely more spatial awareness to them—but they’re still dinky little on-ear headphones. The fidelity is passable in the context of a bolted-on convenience, but if I could buy the Vive Pro headphones standalone I wouldn’t. Last and probably least, the control box has changed. HTC redesigned the cable again, combining the three separate plugs of the original Vive into a single custom port that delivers power, video, and audio. The box also has an on/off switch now, though I can’t imagine why anyone would use it. Oh, and one last note: No more HDMI. You can only connect via Mini DisplayPort. That’s fine by me, as my video card has a plethora of them, but you might need to pick up an adapter if yours doesn't. Amazon offers an HDMI to Mini-DisplayPort adapter for $9. But it’s the resolution bump that matters. The headphones, the rigid strap, the thinner cable—these can all be replicated with the Deluxe Audio Strap for the original HTC Vive, and while the Vive Pro makes a few small tweaks, it’s nothing I’d call essential. Some, like the counterweight, I actually prefer the old version. I’m already finding it hard to go back, though. After a few weeks at 2880x1600, strapping on my old Vive feels like an immediate downgrade. The text! How did we read it? And the answer is, we didn’t, and didn’t care. For most people, it’s just not going to matter much—especially with the Vive Pro slated to cost $800 for just the headset. HTC doesn’t even pack controllers or base stations in with the Vive Pro, probably because they know as well as I do that only a certain crowd of early-adopter enthusiasts is buying this. It’s the people who’ve had every headset from the start and are pining for an upgrade. Those people already have Lighthouse base stations and controllers, and the Vive Pro is backwards compatible with them out of the box. Everyone else will stick with the first-gen HTC Vive at $499 on Amazon (or $599 with the optional Deluxe Audio Strap) and for good reason. It’s still a damn good headset, the sports car of the VR industry. 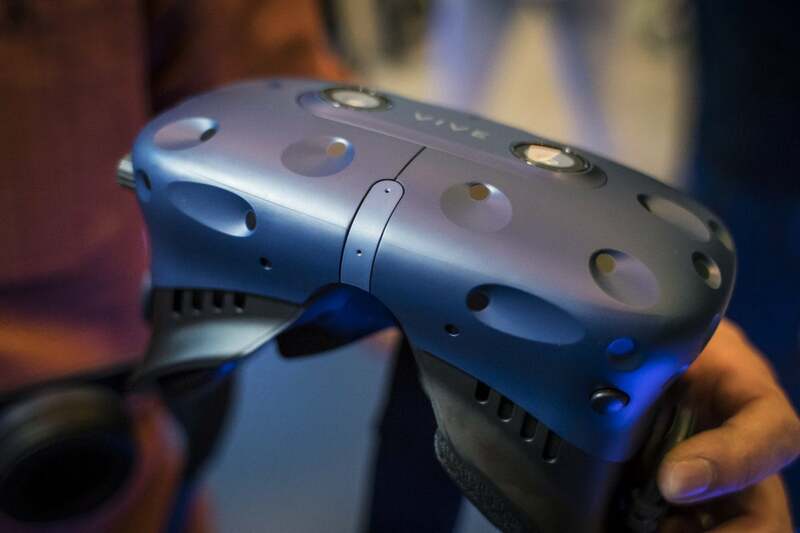 That makes the Vive Pro something ludicrous, like the Bugatti Veyron supercar: beautiful, and appreciated by a select few, but probably not worth the price for most people.